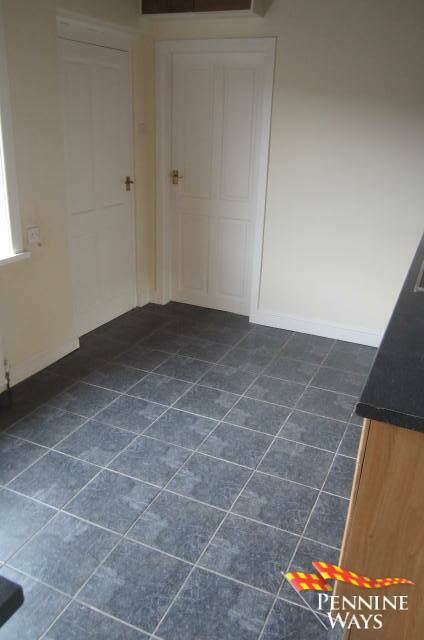 A Good Size Two Bedroom End Terrace set in a Quiet Location of Haltwhistle near the River Tyne. 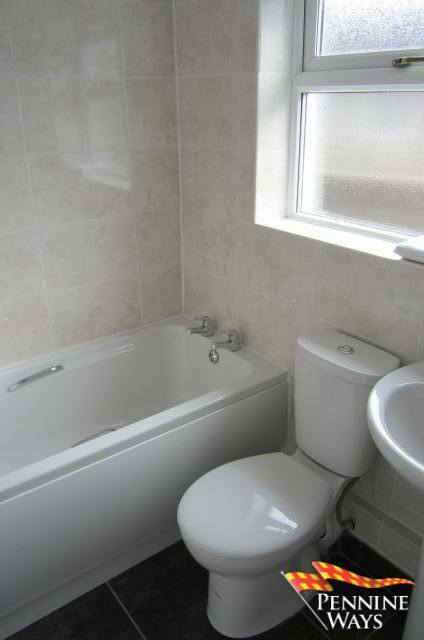 The property benefits for newly fitted Bathroom Suite, Gas Central Heating & Double Glazing. 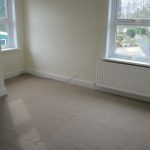 Fitted with white UPVC double glazed units, decorated in neutral colours with beige carpet to floor. Living Room 14’00’’ x 14’00 (4.28m x 4.28m) a.w.p. 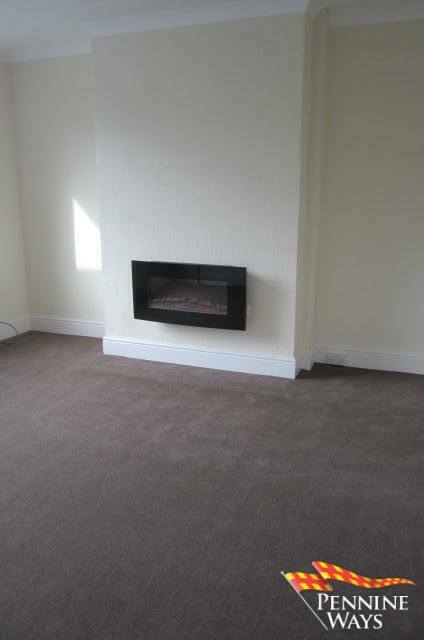 A spacious front living room decorated in neutral colours with beige carpet to the floor. Double glazed window with front aspect & wall mounted electric fire. 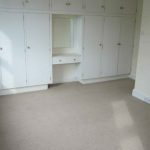 The room benefits from a large under stair cupboard with electricity fitted. Kitchen 13’05’’ x 8’11’’ (4.10m x 2.73m) a.w.p. 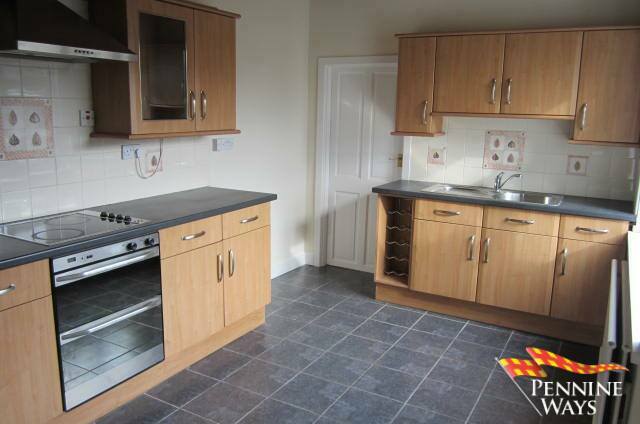 Large Kitchen fitted with matching floor to wall kitchen units, integrated electric oven/grill, hob & extractor fan unit. Stainless steel sink & drainer with chrome mixer tap. 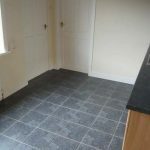 The room is decorated in neutral colours with tile effect lino to floor. Double glazed window with side aspect & double radiator. 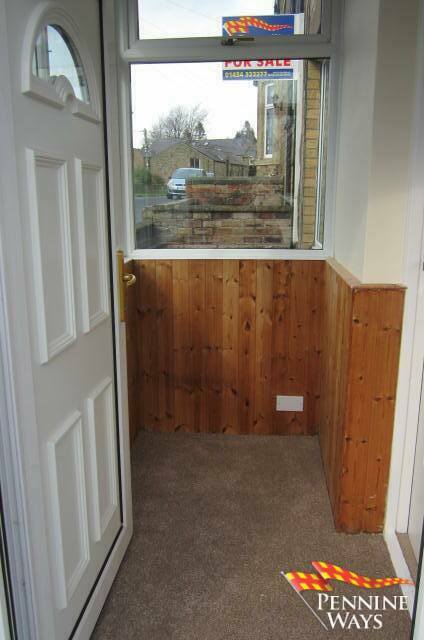 Small porched area with double glazed UPVC units fitted, decorated in neutral colours, with tiles to floor. 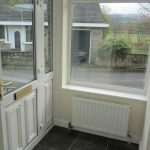 White UPVC double glazed door which leads to small rear yard and outbuilding. 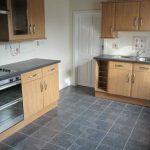 Off Kitchen small utility area with plumbing for washing machine, decorated in neutral colours and tiled flooring. 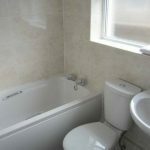 Recently refurbished bathroom comprising of a white three piece bathroom suite with electric shower over bath. 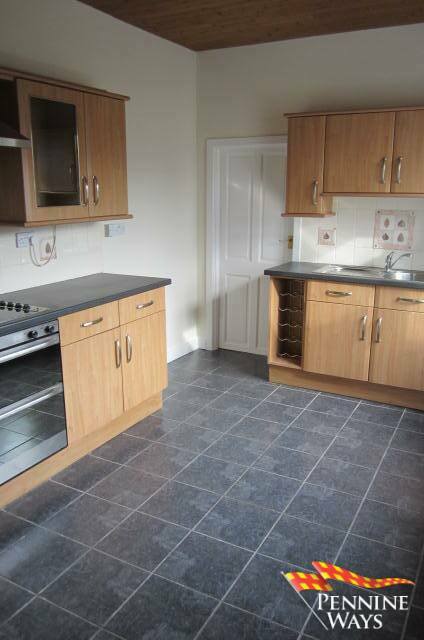 Ceiling to floor cream tiles with grey tiles to floor & single radiator. 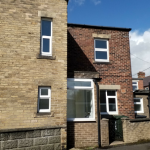 White UPVC double glazed window with opaque glass to side aspect. 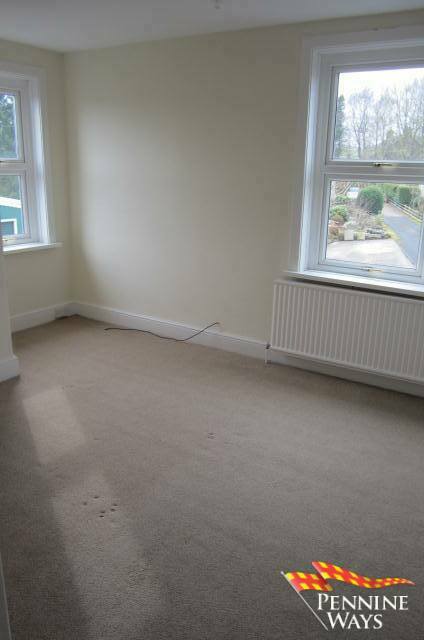 Decorated in neutral colours with beige carpet to floor. White UPVC double glazed window looking over the River Tyne. Bedroom 1 13’03’’ x 9’00’’ (4.04m x 2.75m) a.w.p. 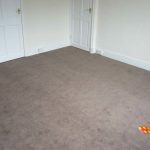 Double bedroom decorated in neutral colours with beige carpet to floor. 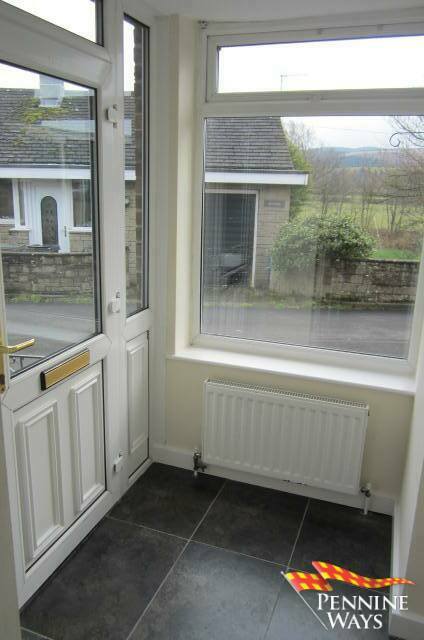 Double radiator, double glazed window with side aspect. Fitted cupboard which houses the Glow Worm Gas Combi Boiler. Bedroom 2 10’11’’ x 14’11’’ (3.35m x 4.56m) a.w.p. 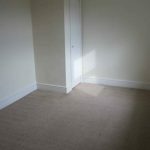 Large double bedroom which would easily accommodate a kingsize bed, decorated in neutral colours. 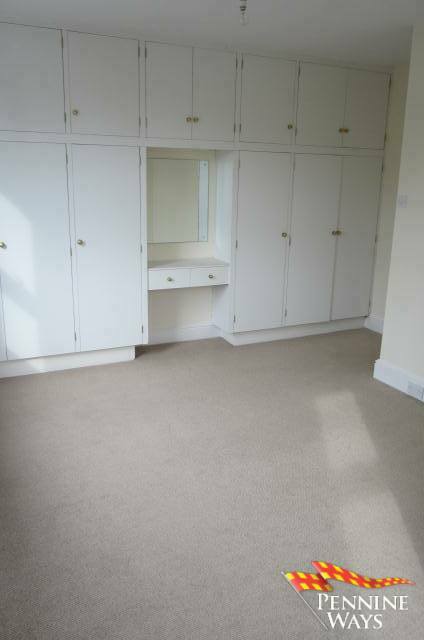 One wall fully fitted with ceiling to floor wardrobes and cabinets. 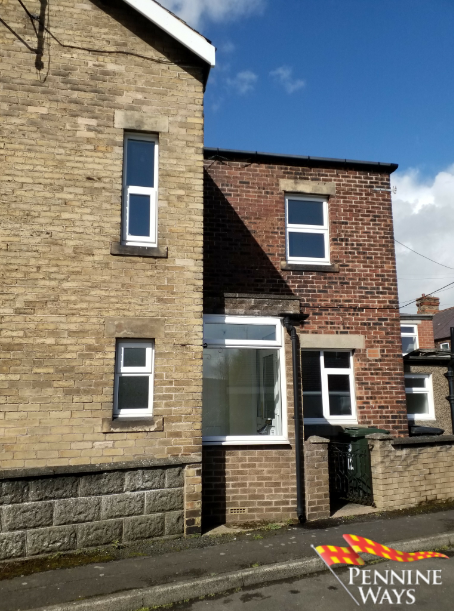 Two double glazed windows to front & side aspect. 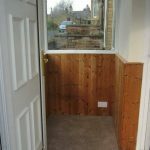 Small walled area to the front of property. Small yard area, where you can access the small stone outbuilding from. 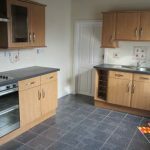 Mains Electric, Gas, Water & Drainage. 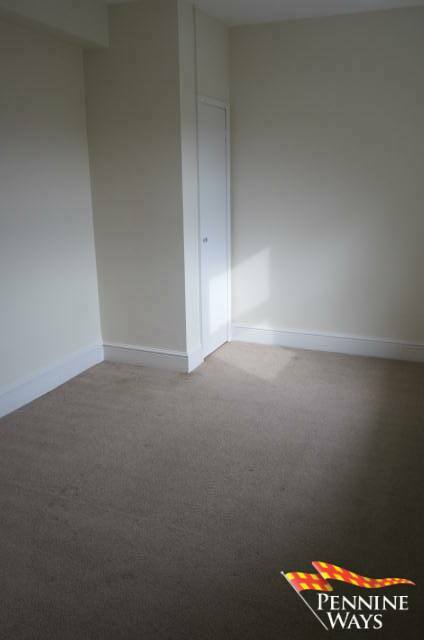 The vendor has advised us the property is Freehold. 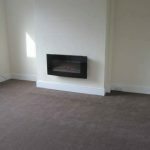 The property is ideal for first time buyers or buy to let investors. There is no onward chain. 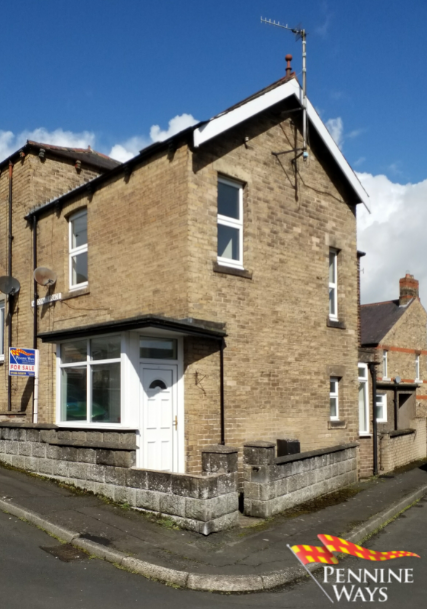 From the Haltwhistle office head West towards the railway station, turn right onto West road and drive along until you see the speed camera on your right. Take the left turn down Scotsfield Terrace and then turn immediately right onto Wydon Terrace. 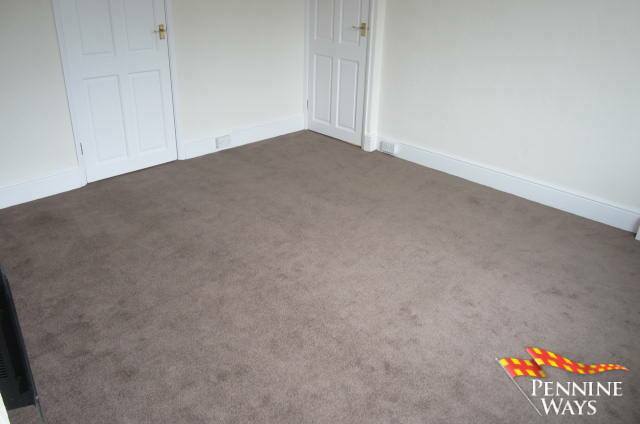 The property will be found on the left hand side at the end of the row. We will be pleased to provide unbiased and professional advice without obligation on the marketing & current value of your present home. 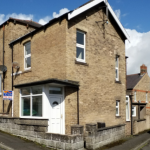 Just contact one of our offices to request a valuation. Pennine Ways Ltd for themselves and for the vendors or lessors of this property whose agents they are give notice that (1) the particulars are set out as a general outline only for the guidance of intending purchasers or lessees and do not constitute part of an offer or contract, (2) all descriptions, dimensions, references to condition and necessary permissions for use and occupation, and other details are given without responsibility and any intending purchasers or tenants should not rely on them as statements or representations of fact but must satisfy themselves by inspection or otherwise as to the correctness of each of them, (3) no person in the employment of Pennine Ways Ltd has any authority to make or give any representation or whatever in relation to this property. May we also courteously advise that whilst every care is taken to ensure the accuracy of the measurements in these details, please do not incur any expense until you have verified the sizes to your own satisfaction.